Looking for more games like Frostpunk? 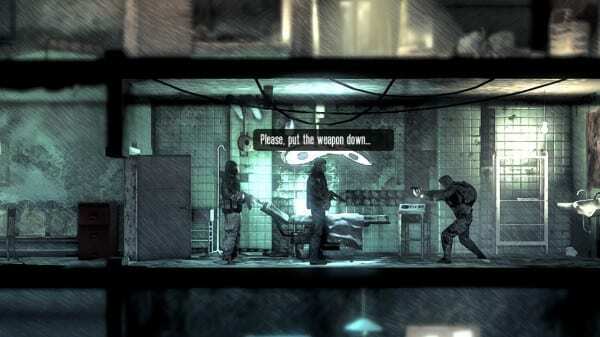 The city-management simulator from the folks behind This War of Mine is a big hit. It’s especially great if you’re looking to make some tough choices and get a bad taste in your mouth from the outcomes. You know, the usual deal with games from this developer. But we won’t focus on the aesthetic for this. No, these are games like Frostpunk! We’re talking the same-ish gameplay that fans of Frostpunk will no doubt love. Check this out if you’re looking for games similar to Frostpunk and let us know in the comments down below which one is your favorite! This one should be obvious, right? We had to include it in a games like Frostpunk list. If you haven’t played the now classic survival game from the same developers, 11 Bit studios, then you might want to get on that. What made This War of Mine so iconic is not only its challenging survival-sim management gameplay, but also its unique setting and perspective. It takes place in a fictional city of Pogoren, Graznavia but it’s clearly inspired by real-life events that took place during the Bosnian War. Instead of managing an army to determine the outcome of that war, you’re controlling the civilians and trying to help them survive a terrible ordeal. You need to scavenge, manage basic humans needs like hunger, and just hold out until its safe to return to normal life.